A smooch of luminescent color and flavor. 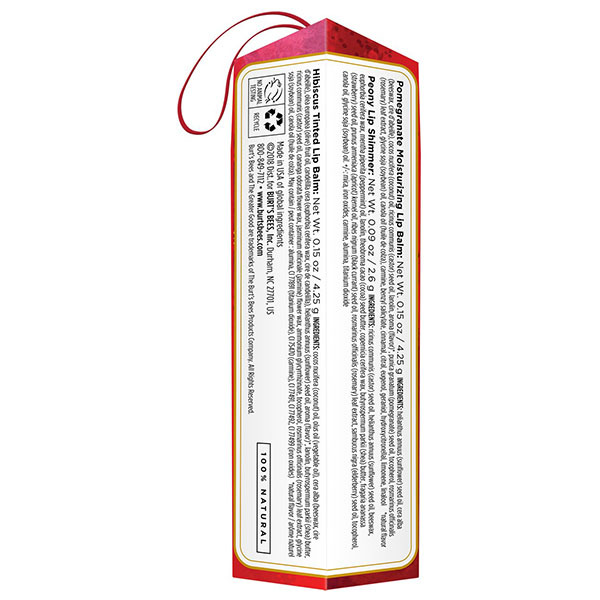 Gift the Burt's Bees® Mistletoe Kiss Holiday Gift Set that moisturizes lips with a pop of luminescent color to prepare her for an unexpected holiday kiss. This gift set includes three stunning lip products for layering over a favorite lipstick or for applying on lips for a shimmering hint of color. Peony Lip Shimmer is a beige mauve with slightly more than a hint of color, Hibiscus Tinted Lip Balm has a neutral hue with just the right amount of color and Pomegranate Lip Balm is a tint free matte finish infused with fruit extracts. These everyday shades are enriched with Shea Butter, Vitamin E and fruit oils to moisturize and naturally soften lips. The 100% natural lip tint has a smooth texture that glides on with a hint of mint to invigorate lips with a refreshing tingle. Brighten lips with a spot of color and complement natural beauty with this kissable gift set. 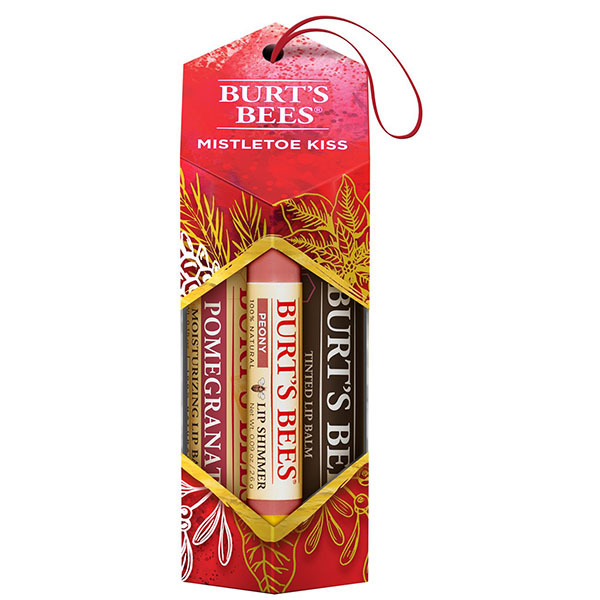 This gift set is beautifully packaged in a Burt's Bees® signature holiday gift box ready for holiday gifting.